Bianca: Weeks ago my co-worker and friend Mark, mentioned a soon to open burger joint in Glebe, knowing my weakness for a good burger – I appreciated the heads up. Burger 10’s concept is a simple one ’10 Burgers, 10 Countries’, with 10 burgers representing different countries ranging from Greek, Turkish, Japanese, Lebanese, Australian and American. A very interesting concept for a humble product. 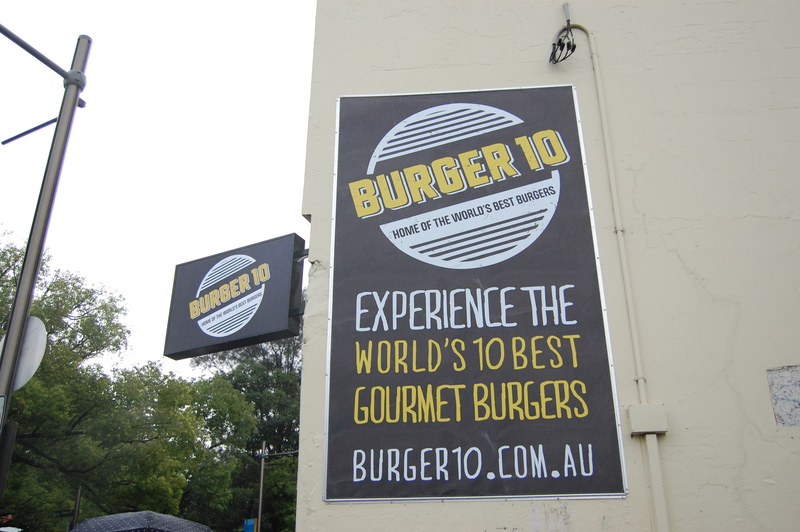 Burger 10’s claim is a mighty big one – ‘Home of the best ten burgers in the world’. I Dragged Mark (Job Dun – His comic book alter ego) along one rainy Sunday afternoon, one week into trading. 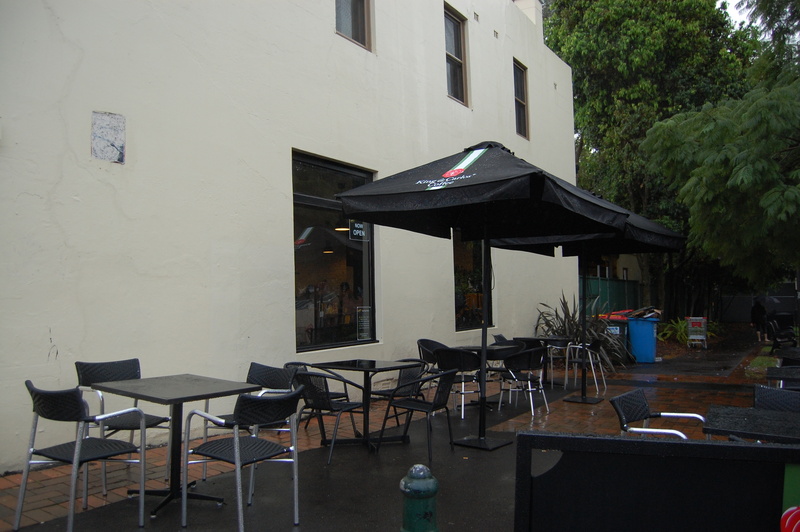 Because it was raining, it essentially wiped out half of Burger 10’s outdoor seating, incidentally most of the seats indoors were occupied. Having perused the menu before our visit we were well prepared, or so we thought. We decided to share two burgers – The American ‘Classic Beef Burger’ with a classic burger bun, grass fed beef pattie, tomato chutney, beetroot, pickled cucumber, rocket leaves and mayo. 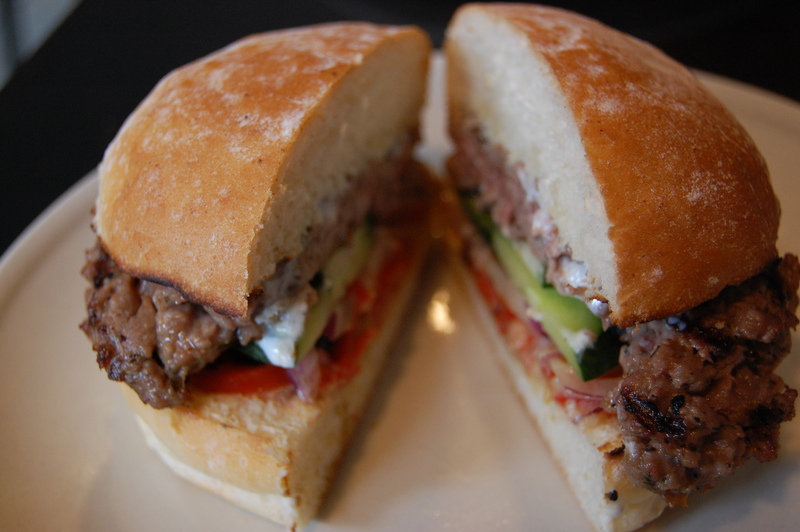 As well as the Greek ‘Lamb Burger’ – A classic burger bun with a patty comprising of lamb, oregano, mint and fetta, with charred eggplant puree, red capsicum, Spanish onion, Kalamata olives and cucumber tzatziki. For me, a plain beef burger at any ‘burger’ joint tells you a lot about the place. So I was interested in trying Burger 10’s. Unfortunately, the server taking our order at the front counter misheard my order. Thinking I wanted the ‘Australian’. I didn’t realise until the burgers were brought to the table. Where we tried to determine which burger was which. Job Dun (Sorry Mark) and I shared the Lamb Burger and the Australian ‘Braised Beef Burger- comprising of a classic burger bun, Red wine braised grass fed beef chunks, shaved ham, mushrooms, sauerkraut, rocket and roasted garlic sauce. 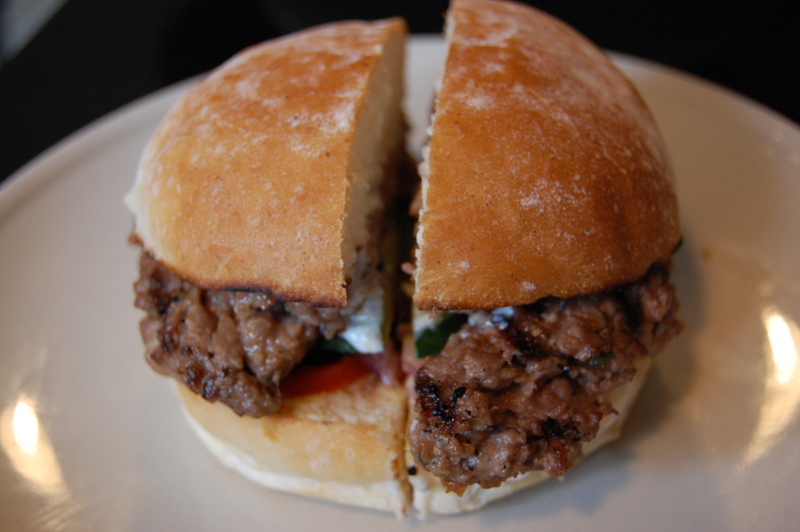 The Lamb burger was particularly flavourful. When you actually run through the list of ingredient’s there are quite a few components to the burger and they all work wonderfully together. I particularly enjoyed the red capsicums and random salty bursts from the chunky Kalamata olive pieces. 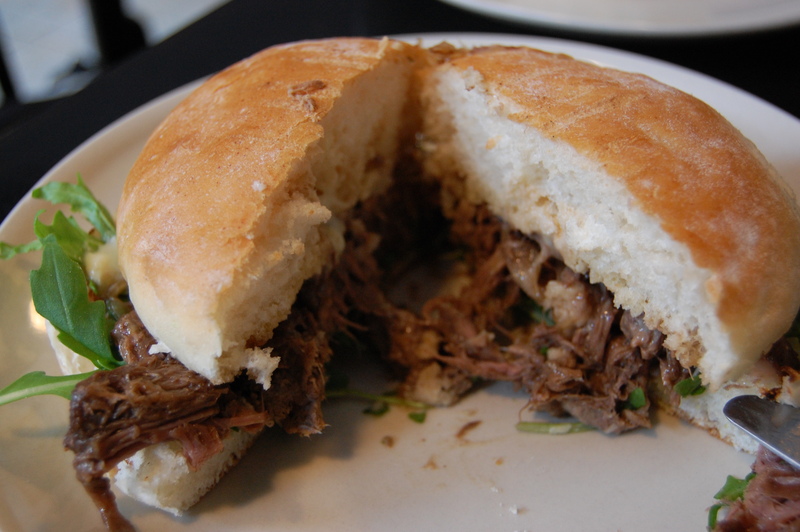 The Australian Braised Beef burger on the other hand. Not my favourite. I may have been slightly put off by the fact I was given the wrong burger. But this one didn’t appeal to me. 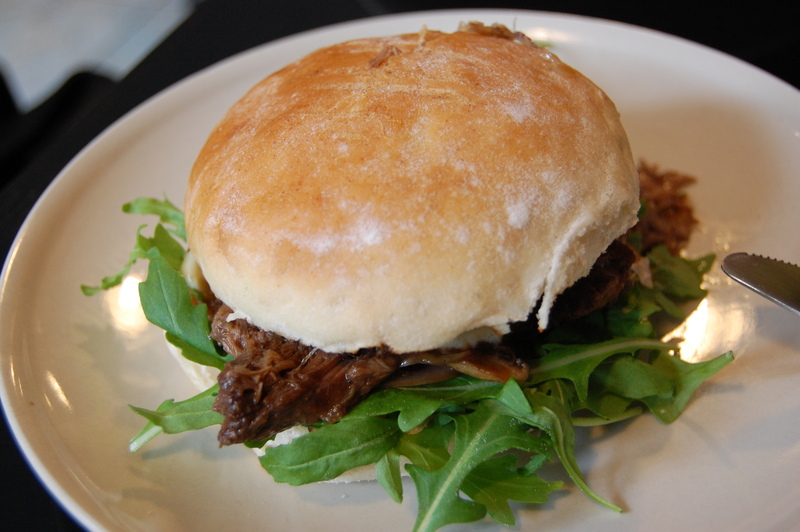 There were components within the burger that worked, such as the roasted garlic sauce and mushrooms. Everything else fell a little flat. The two biggest aspects that didn’t work for me, were the Beef chunks and the ham. An odd combination. 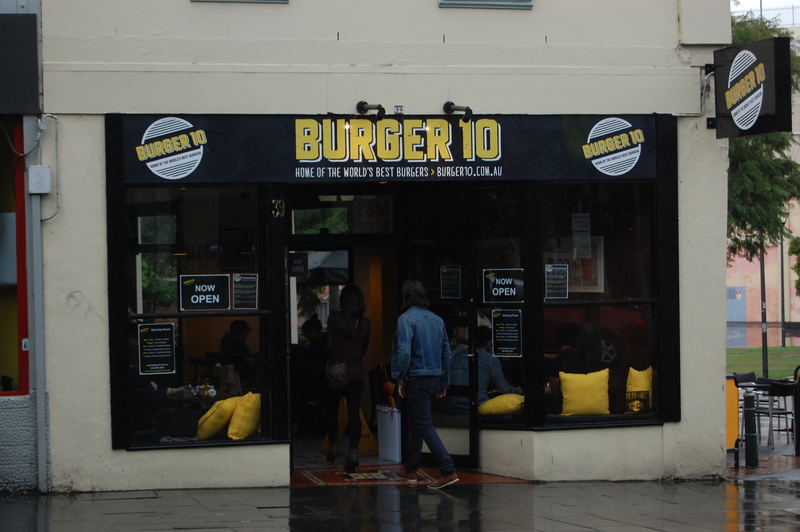 I would be very interested to learn how Burger 10 came to pick their 10 burger flavours of the world. I’m a little puzzled by some of the burger flavour representations. Particularly the Australian. I would have figured some beetroot or pineapple would have been involved. Even though I care for neither. Service was very perfunctory, minus the burger switching incident. Burger 10 have only been open for going on two weeks now, so it may be a little early to throw down the gauntlet. 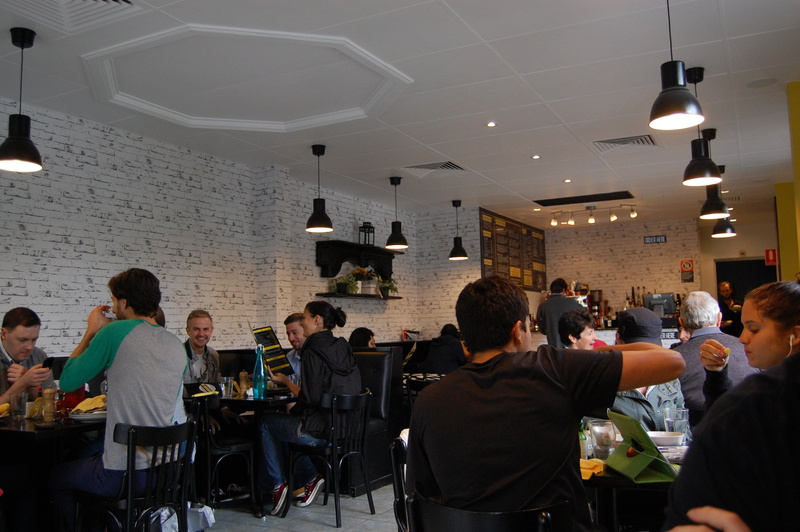 It’s definitely a great addition to the Sydney burger scene and has a fantastic concept for their burgers. Whether it gives Chur, Mary’s and Bonarche a run for their money is another story. I look forward to my return visit to finally try the American Beef burger and the Thai ‘Barramundi Fish Burger’. Totally agree with you… Without it having the Australian name, I would’ve thought it a hybrid German-Italian burger. Odd choice of fillings for something we classically know as having at least a bit of beetroot (if not a lovely fried egg!). Hi Bianca, thanks for the review I sincerely apologize for the wrong order, we are still streamlining our service and we are committed on providing our customer great food and excellent service. I would like to personally invite you to meet the Chef behind Burger10 at your convenience, please feel free to contact me at anytime. Thanks Sheryl, I just sent you a quick email. Thank you for reading the review. Hmmm…Burgers looks too fancy. But like what. you said, they are quite new so we may see a few more changes here and there. I would still give em a go though! Do they do classic cheeseburgers by any chance? They have the ‘American – Beef Burger’. Which would be the closest to a regular cheeseburger. I wonder if you could tailor a ‘cheeseburger – pattie, bun, onion and cheese’. Cute idea but I agree, surely it’s mandatory to have pineapple, bacon and beetroot on the Aussie burger!